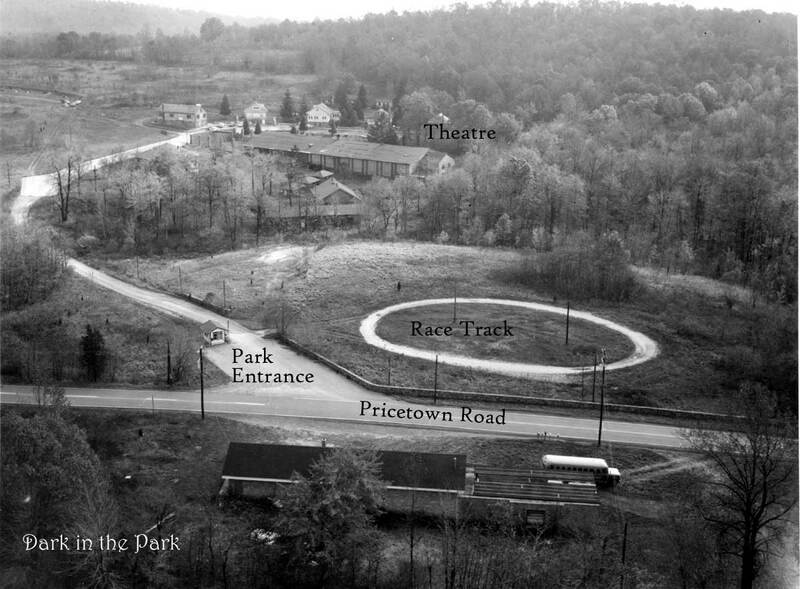 This aerial photo of the park shows the park entrance along Pricetown Road and the dirt race track. Parts of the theater and apartments can be seen at the top of the photo. The carousel building is hidden by the trees at the left of the photo. This photo was taken several years after the park closed during the time of the Dreamland Park murders. The source of the photo is unknown. RETURN TO Dreamland Park article. © 2004 Dark in the Park. This site was created by Bill and Seph Cherkasky.